Inspiring Art Teachers to Explore Art History | Curator’s Corner: Art History Survey, A New Slant, No. 5: What Was Happening in the 1400s/1500s II? Art History Survey, A New Slant, No. 5: What Was Happening in the 1400s/1500s II? Sometimes I wonder if, unfortunately, most westerners only know about Korea in relation to that unfortunate war in the 1950s or because of contemporary politics in North Korea. This is yet another fabulous (and, I repeat fabulous) artistic culture that is usually relegated to two- to five-page spreads in western art history survey books. 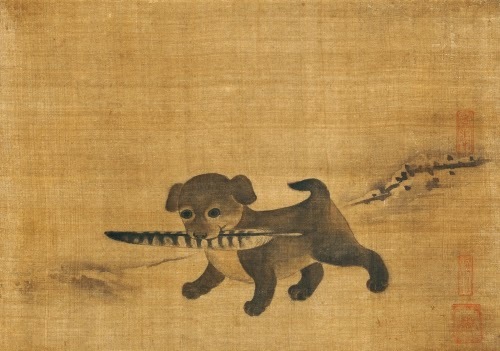 Well, I’ve chosen Korean art as part of my New Slant representing the 1500s. Korea, as a cultural progeny of China, was a pivotal influence of developments in Japanese art and culture. The racial origins of the Koreans is Mongol and Chinese. By the first one hundred years bce the various clans of Korea began to coalesce into cohesive states that eventually formed Korea. Koreans accepted Buddhism from China in the 300s ce, which they in turn transmitted to Japan between the 400s and 500s ce. They were also instrumental in helping Japan develop porcelain. Korea acted as a conduit from China to Japan for many artistic developments throughout the centuries. The earliest historical record of painting in Korea is found on painted baskets from the first century bce. A more substantial record of ancient Korean painting remains on the painted walls and ceilings of tombs from the Three Kingdoms Period (57 bce–668 ce). Those paintings reflect Buddhist beliefs. The Mongol invasion of China (1100s) and Korea (1258) strengthened Korea’s reliance on Chinese art, and the influence of Song dynasty (960–1279 ce) painting traditions. Under the Joseon Dynasty (1392–1910), the Mongols were expelled by the indigenous Yi family, and a phonetic Korean written language was established. Korea was a semi-independent state with ties to China, fending off Japanese attempts at invasion in the 1500s. Korean painting of the Joseon period contains the same qualities as Chinese painting in the reverence for nature through which, it was thought, humans could improve themselves. There is also the Buddhist element of appreciating details in the natural world as a symbol of being ready for an enlightenment that could come at any insignificant moment. Yi Chŏng was a person of noble birth, great-grandson of King Seong (1397–1450). As in China, learned men of noble birth often combined scholarship/philosophy with painting. 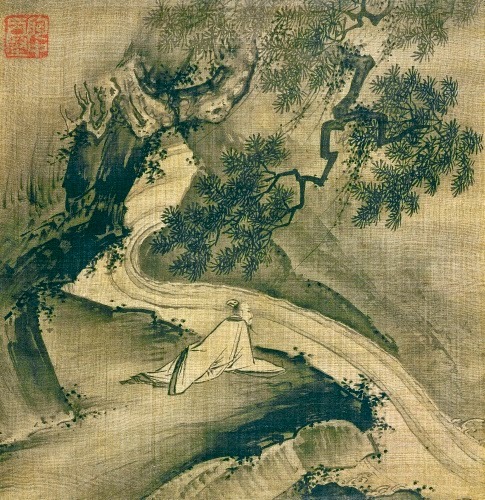 Yi practiced calligraphy and poetry, as well as painting. He was also a part-time monk at times known as T’anūm (Ocean Hermit). 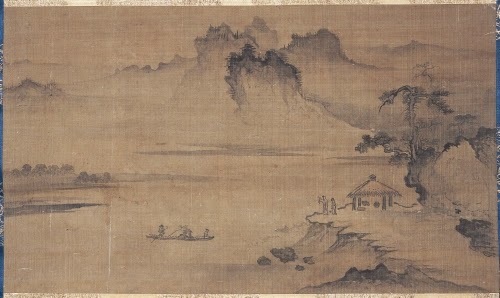 A scholar contemplating nature was a very common theme in Chinese, Japanese, and Korean painting. It could be considered self-referential for the scholar/artists. Yi’s style contains the jagged (axe-like), bold brush strokes of Southern Song artists such as Hsia Kuei (active 1180–1230). The cascading stream is symbolic of the never-ending passage of time, while the landscape symbolizes the transience (life and death) cycle that all humans must undergo. 1490–1527 Art in Italy designated as a period called the High Renaissance. 1500s Period of flourishing in the arts of metal casting in the Benin Kingdom (1200/1300–1897) of the Edo People in Nigeria. The most famous of the metal art works are lost-wax cast portraits of rulers and military leaders in both in-the-round works and plaques. 1502 Safavid Dynasty (until 1736/1779) established in present day Iran. Iranian art experience a flourishing period like never before in architecture, book illustration, calligraphy, ceramics, painting, and metalwork. 1526 Mughal Dynasty (until 1756/1789) established in India, where it ruled all of northern India, present day Pakistan and Afghanistan as far as Kabul and Kandahar. The Mughal rulers were enthusiastic patrons of art, especially in architecture, illustrated books and painting. 1551 Tzar Ivan IV (the Terrible, 1530–1584) called a religious council and forced the Russian church to accept the inclusion of secular (historical and military) persons in religious icons, formerly restricted to Old and New Testament subjects. This change broadened the types of icons produced and led eventually to the popularity of parsunas, secular portraits done in the style of icons.